Egypt is one among the prominently quoted tourist destinations across the world, widely known for its enigmatic treasure and archaeological legacy. From the ancient times, Egypt has been an important tourist destination. Egypt has laid the foundations for the modern tourism industry and remains an important pillar of the Egyptian economy. 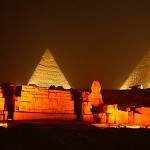 Egypt beholds some of the best known heritage and archeological treasures of the world. What’s obvious attraction with this country is its natural beauty and vibrant contemporary culture. Visitors and tourists across the globe overlook a number of destinations in the country. Imagine the enchanting discovery of Egypt with Nile cruise. Nile is 5000 years long civilization starched around the world’s second largest river, the Nile. Deep historical routes and stunning beaches of river Nile is the destination that has every substance to spark your mind and soul. Experience the land of fascinating monuments and temples with ultimate luxury. 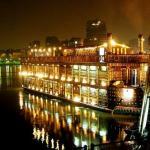 Your visit to Egypt is incomplete without the opulent trip of Nile cruise. Egyptian seaside is the perfect blend of amusing climate and sandy beaches that deliver you the best compelling travelling experience ever. Enjoy a number of water-based attractions as snorkeling, windsurfing and sailing along with the beach scenery and lively nightlife everywhere. The seaside holiday resorts at the Egypt seaside are the popular hub for water sports. The places like Sharm El-Sheikh Dahab, Nuweiba and Taba are best known for its beautiful beaches and a variety of activities around. Your travel to Egypt is incomplete without the glance of the great Pyramids of Giza. The structures are the testimony to the several generations of Egyptian monarchy who conceived their great burial shrines on the plains. These pyramids are known to be the final resting places for the ancient Pharaohs. One who is curious to know about the pyramids should indeed throw a look on the Great Pyramids at the Giza Plateau, and secondly, the Great Step Pyramid of Djoser. For other who has the concrete interest in the great monuments could see Cheops, Khafre and Menakaure pyramids. Egypt museums are the heritage of Egypt. These are one among the most beautiful tourist destinations across the world and explored by the travelers with ongoing snoop. The Egypt museums are arranged by a number of artistic mediums. The artifacts collected in the museum include many superb works of art and religious manuscripts, icons and metal works as well. The very first section of the Egyptian museum accommodates the legacy of the Tutankhamon’s treasures. 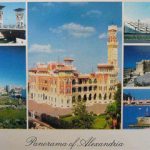 You may also enjoy pre-dynasty and the Old Kingdom monuments and Middle Kingdom monuments of the modern kingdom. Another famous and worth seeing museum is the Coptic museum that houses Christian scenes depicting Egyptian gods, and ancient Egyptian columns altered into baptismal fonts.